This year we plan to open our new cookery school in Liberty Hall, Clapton Commons, and funds raised will go towards putting in place a brand new, fully accessible kitchen and helping us to deliver even more life changing cookery courses to communities and groups across London. 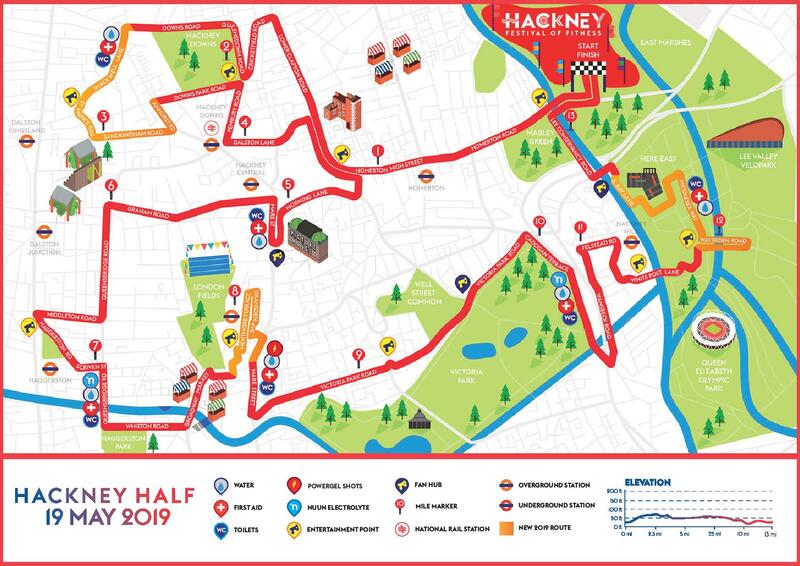 Our 10 strong running team have been training hard clocking up hundreds of miles in preparation for the Hackney Half Marathon on Sunday May 19th and doing an amazing job fundraising at the same time! Come and cheer us on on the marathon day. The route map (see below) is filled with music and celebrations so will be a great way to spend your morning. Donate to our team member’s fundraising page that is taking part in the localgiving Local Hero competition. The aim is to be one of the top 20 fundraisers with the most unique donations in April to win extra funds. One donation (no matter what size) gives us 1 point on the leadership board! Donate to group appeals page! We have currently raised almost 50% of our target as a team. Will you help us reach 100% before the race? We also have two spots left on our running team. If you’re interested in joining please get in touch by calling emailing Fran on fran@madeinhackney.org.